John Lothes, M.A., LPA, LCAS-A, is a licensed psychological associate in Wilmington, North Carolina. As a clinician, John was hired by Delta Behavioral Health in 2008 to help start up and run their Dialectical Behavioral Therapy informed partial hospital program and a DBT informed substance abuse intensive outpatient program (SAIOP). Since 2008, John has provided supervision to interns that have been trained in the partial hospital program and the SAIOP, teaching them how to apply DBT skills to their therapy. John also incorporates DBT into his individual practice working with a number of disorders. John was introduced to DBT during his internship at the New Hanover County Behavioral Health Hospital, an inpatient facility where he eventually led DBT groups in both their inpatient partial hospital program and substance abuse program. While on internship, in August of 2004, John spent a week training on DBT with Dr. Linehan at the New England Education Institute in Cape Cod, MA. In 2014, John completed the 10 day intensive training in DBT through Behavioral Tech. Mr. Lothes is a full-time faculty member at University of North Carolina Wilmington in the Department of Health and Applied Human Sciences and teaches as an adjunct in the Psychology Department. 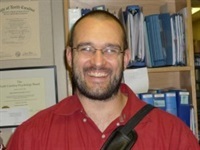 He has published research on mindfulness and the cultivation of mindfulness in individuals. He continues to research mindfulness and is conducting research on DBT in partial hospital settings and intensive outpatient settings. Non-financial: John Lothes II has no relevant non-financial relationship to disclose.